HE was surprised to get picked late in the PBA Draft. Now, Juneric Baloria tries to surprise those who ignored him. The top NCAA scorer who was expected to figure prominently in this year’s draft, was taken in the third round, picked by Blackwater as the 31st overall pick last Sunday. Still, it seemed the left-handed gunner from Lanao del Norte was picked too late for his talent, being the NCAA’s leading scorer. “Siguro may kailangan pa akong patunayan,” said the 24-year-old Baloria, who had 18 points, five assists, two rebounds, and one steal against the Knights. 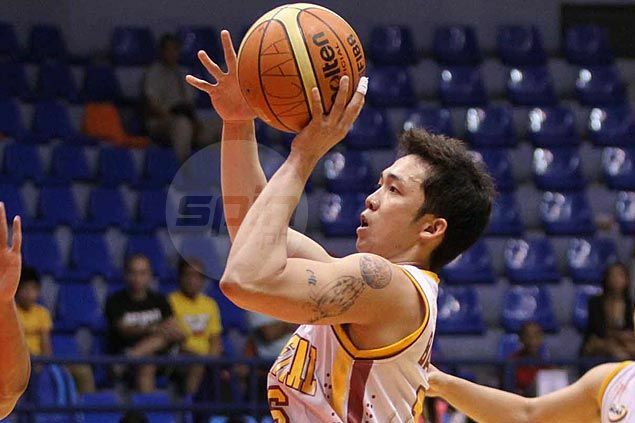 Before all that, he is dead set on leading the Altas to another Final Four berth and maybe more.